Are you doing the UK’s favourite workout? CrossFit provides a fun path to achieving your health and fitness goals. Getting fit and healthy shouldn’t be boring or monotonous. It should be fun, varied and done with friends! Try our 60 minute classes that incorporate high intensity interval training and a variety of movements including complex gymnastics and weightlifting. CrossFit is described as “constantly varied functional movements performed at high intensity. The key to CrossFit isn’t that it takes you hours to complete your workout, but to put in maximum effort in the shortest time possible to achieve the biggest improvement. The “WOD” is the “workout of the day.” Each day a new WOD is posted at Crossfit Beowulf, and it’s part of a complete program designed to improve strength and conditioning. The Beowulf Crossfit program is characterized by three days of work before one day of rest, though athletes may alter this pattern. The WOD can be scaled (adjusted) to provide a suitable challenge for athletes at any level. I haven’t been active for years, is CrossFit for me? Yes, absolutely! CrossFit is completely scalable so every workout can be made more or less challenging, depending on your fitness level. This allows complete beginners to train with CrossFit veterans and still get an awesome workout. To see progression, often the WOD (workout of the day) is timed. The only person you’re working against is yourself. This time will become your benchmark and should reduce each time you perform that same WOD. I’ve never tried CrossFit before so can I join any of the coached sessions? 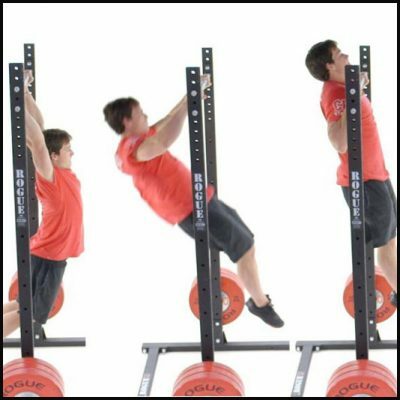 CrossFit is made up of many different movements that need to be practiced and performed under the watchful eye of a CrossFit coach to ensure you’ve got the correct technique. All members new to CrossFit need to attend an CrossFit foundation course or screening first. We have different courses depending on the time scale in which you’d like to complete it. When is the next Foundations course and how do I get sign up? Screening £25. This short course, roughly an hour, is designed for already competent athletes. The coach has a list of movements that they will ask the athlete to perform, ticking off the movements one by one to ensure that they are competent enough to then take on a full membership. Fast Track £75. This is a two hour course to go through all the movements, with an emphasis on the 2 olympic movements. This is for your trained gym goer who is already aware of the majority of the movements required by class. 121 sessions £25 per session, max of 5, £30 for a double up. This is the 121 coached, individual sessions where a coach would take the athlete through all of the movements over a series of classes similar to the format that we currently employ. However the coach should feel free to reduce the number of classes if required, saving time, and the clients money and getting them onto a Crossfit membership sooner. This option is for those who need that extra help but are keen to get started ASAP and/or dont have the flexibility to fit into the group sessions. Group classes, £80 for 8 classes over 4 weeks. This is the current ‘Onramp’ structure, great for those who want to take things slower, have the support of fellow classmates and have the structure to meet the weekly classes. If they miss classes they will need to catch up with a 121 coach for £25. CrossFit lead to attend the last class to meet the new members and to assist in the transfer over to the Crossfit community. If you wish to sign up to the course click the link: JOIN HERE and choose ‘CrossFit DD £80.00 covers the 4-week course and you will also be able to visit the gym outside the 2 evening sessions if you wish. How many coached sessions can I attend each week? • CrossFit Plus £70 pm entitles you to attend three coached sessions per week as well as full use of the gym and all standard classes. • CrossFit Unlimited £80pm allows you to attend as many coached sessions per week as you like as well as full use of the gym and all standard classes. As part of your CrossFit Unlimited membership you can also attend Sparta OCR classes, find out more about Sparta HERE. How much does each membership cost? CrossFit Plus is £70 per month. CrossFit Unlimited is £80 per month. When do coached sessions run? 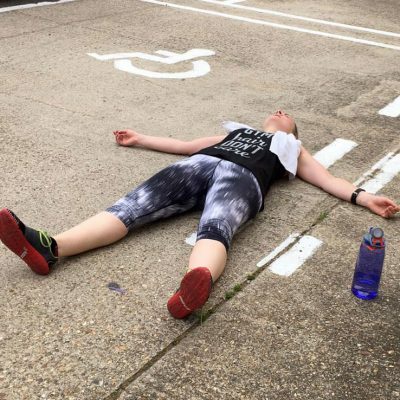 CrossFit coached sessions run at different times throughout the day, 7 days a week. More information can be found on our class timetable, there are classes on in the morning, at lunchtime, during the evening and on the weekend too. We also have coaches available in between classes during Open Gym to assist you with movements or workouts. Can I drop in from another box? If so, how much? If you are a visiting CrossFitter and would like to drop in we would love to accommodate you. It is £10 a drop in and you can book by calling the club 01462 682952 or letting us know on email the date and time you would like to attend using our timetable.